I took on the task of reviewing a book with Bethany House Publishers. I love to read and thought this would be a nice relaxing thing for me to do. I chose fiction. 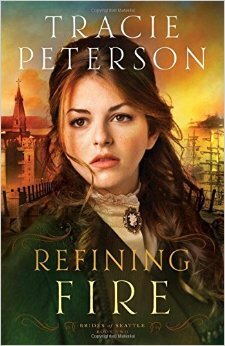 The book I chose is titled Refining Fire by Tracie Peterson. I love fiction and of course a dash of romance is always good. This story also has a touch of real history involved in it’s plot. That was my deciding factor on this particular novel. It started off slow for me. It appeared to be your typical Christian romance novel until and the subject of human trafficking popped up. This drew me into the plot. I do recommend this book simply because the author has a wonderful way of entwining history, real spirituality and romance into one plot. No spoilers here, I recommend you get a copy. But, the climax in this book had me reading faster and heart rate went up a bit. So exciting! Here is a blurb off the back cover about the author: Tracie Peterson’s love for history and research fuels the bestselling stories she writes. She is the author of over one hundred novels and the recipient of the 2011 ACFW Lifetime Achievement Award. Tracie and her family live in Montana. This entry was posted in Random and tagged Bethany House, book review, books, christian, fiction, God, history, human trafficking, review, romance novel on August 4, 2015 by Cate B. A fellow blogger that crossed my path a while ago has published a book. It is full of truth and pain and her reality. Her memoir. I purchased this book through amazon.com for my kindle. I couldn’t put it down until I finished it. But I had to. I tend to feel the pain as I read and needed short breaks. That is a GOOD thing. Why? Because we all have come from dysfunctional backgrounds. But some faced harder things than we may have. Or perhaps I should say different things in our past. I never went hungry or was physically abused. I had more of the verbal attacks and great loss and left to myself to heal. 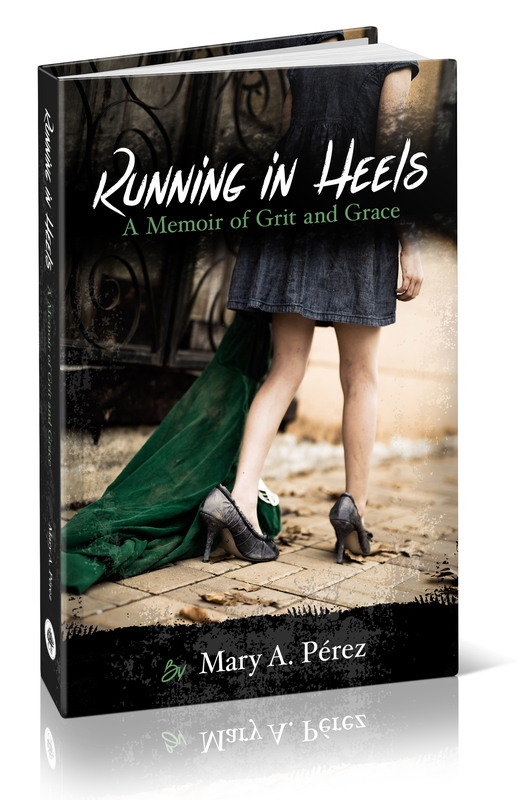 As I read through Mary’s book, Running in Heels, I thought of people I have met over the years who had to endure great pain. Is it fair – no. But the way our God had his hand on her (and you, dear readers) through all the pain is fantastic. This book is a great read for anyone. For your heart – yes. And for others you know and those you will meet, it will be of great help. A must read. We all need to know that someone else has gone through what we are facing or have faced. We all need to know that God was with us and is and will see us through. Life is not easy, for anyone. But it can be redeemed and turned around. Thank you Mary for writing your memoir. 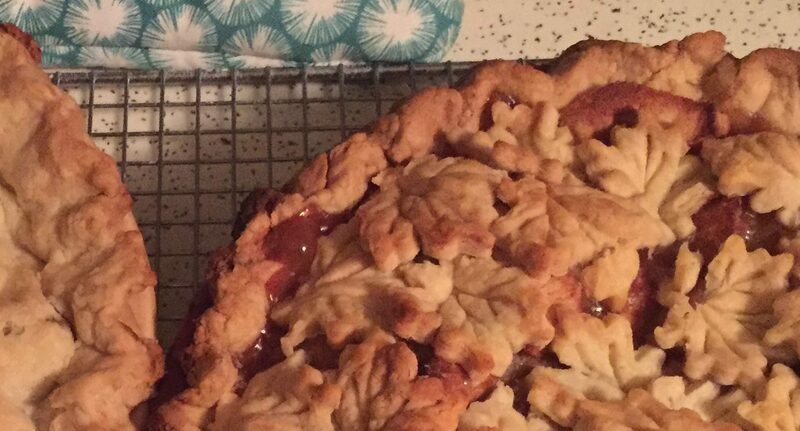 This entry was posted in Random and tagged blog, bloggers, book review, books, faith, God, hope, reading, redemption on May 22, 2015 by Cate B.